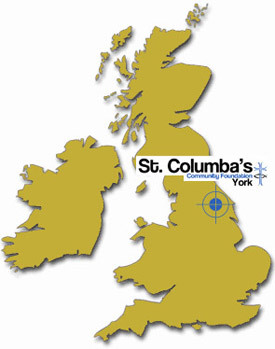 The Foundation has been operating since 2008 within St Columba’s United Reformed Church, Priory Street, York, supporting five main charities and other voluntary groups by providing free office accommodation and facilities. There are no denominational pre-requisites for this work; simply that it is of genuine value in meeting the needs of the people of York and District in relation to their personal, family, spiritual, financial and accommodation needs. While many churches let their premises to worthwhile organisations which serve the community in social, cultural and spiritual ways, few provide free accommodation and support which liberate charitable mission groups to maximise their focus on caring for their end users within the community. Our Foundation is developing a new model appropriate to bringing established congregations and buildings to inspired and fresh mission. © Copyright 2019 - St Columba's Community Foundation - Registered Charity: 1135345. All Rights Reserved.